OpsMx is pioneering automatic continuous verification for releases through logs, APM and metrics during your deployment rollout. 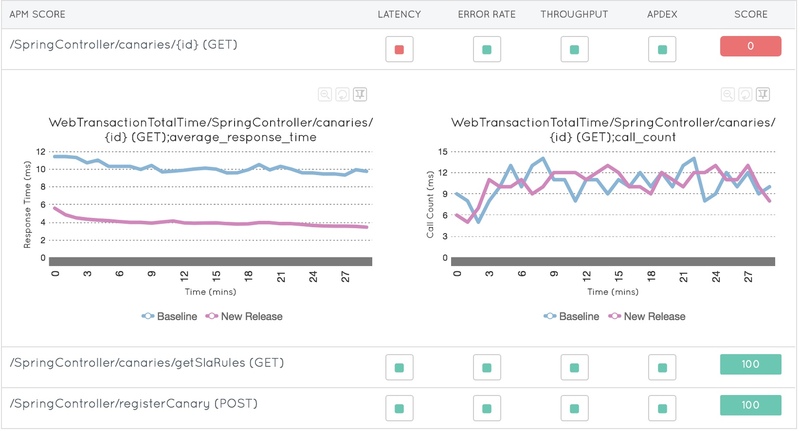 We are excited to announce that we have added NewRelic APM metrics as yet another source of application SLA verification. With this addition to our AutoPilot Continuous verification module, we now have support for Logs (Elastic Search, FluendD, SumoLogic), Metrics (Datadog, Prometheus, Stackdriver, Amazon CloudWatch, etc.) along with APM Metrics. OpsMx AutoPilot Continuous Verification is now able to score services API for the new releases using the production release as the baseline. This type of analysis is beneficial in a multi-service application context where there are numerous API interactions in a typical microservices application. Balaji is VP of Product and Marketing at OpsMx.